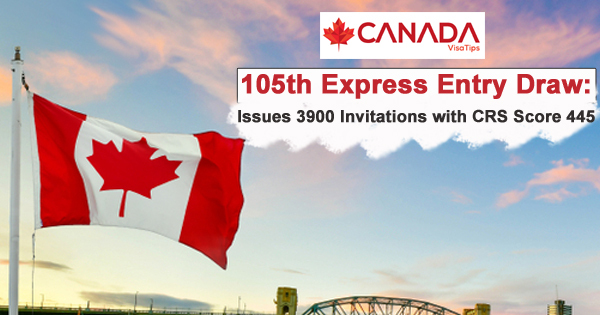 3,900 Express Entry applicants will obtain invitations to apply for Canadian PR in the 105th Express Entry draw conducted on Nov 28th, 2018. The lowest score of CRS cut-off for the present draw is 445. In the Nov 28th draw, I.R.C.C declared a sum of 3,900 invitations, which stays constant with the ITA's number announced in the draws over the preceding several months. The cut-off CRS score has declined from 449 to 445 points, likely because the time within Express Entry draws has improved. It is not feasible to predict future C.R.S scores, but applicants can be assured about the decline in the current week’s draw. If I.R.C.C manages the huge number of ITA's and raises the draws frequency, then the score of CRS may lower in the future. The quicker you provide your profile to the pool of Express Entry, the better your possibilities of obtaining an ITA!